A new visitor to our backyard. This lovely kingfisher swooped down for a dip in the pool 3 times before sitting on our “bird tree” to preen and dry off. We were treated to some bird song and watched him/her dive to the ground for a worm before flying off. 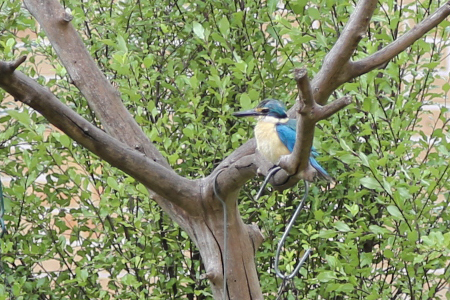 Some quick research identified our bird as the Sacred Kingfisher (Todiramphus sanctus). It has a turquoise back and a turquoise blue rump and tail. The underside is a buff/white colour. He looks like he is wearing a cream coloured collar and has a distinctive black stripe from beak across the eye to the back of the head. The top of the head is also turquoise and there is a buff patch at his beak in front of the eye. A very pretty bird. 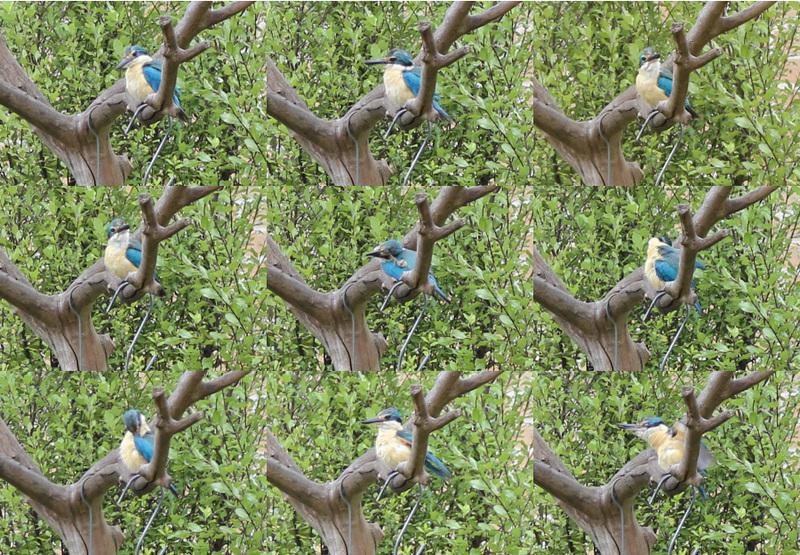 Luckily the Kingfisher stayed around long enough to grab some quick pictures and movie footage from a distance.